Her journey has been filled with trial, but it’s a story she’ll perhaps someday share with students of her own. 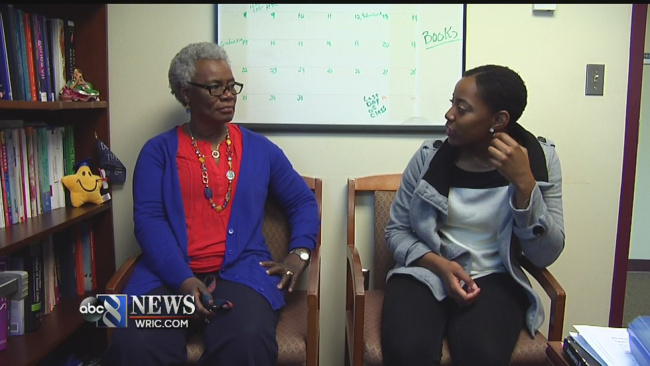 PETERSBURG, Va- (WRIC) – A young woman who beat some astonishing odds will be among Virginia State University graduates this spring. Twenty-three-year-old Kimberly Edmonds-Best has been homeless for the past six years. College level classes may have been the least of her worries as she often wondered what she’d eat and where she’d sleep. Edmonds-Best grew up in Prince George and says she and her mom lost their home when she was in the 11th grade. The stigma from a life of homelessness is what she remembers most. But a greater seed was planted in her heart. She enrolled at VSU in 2012 as a biology major, although she still didn’t have a place to call home. “Even when it was holidays here on campus, like Christmas and Thanksgiving, I had to stay with different families,” she said. The seemingly insurmountable challenges didn’t stop her. On May 15th, she’ll become a VSU graduate, but not before thanking professors who helped her along the way. “I think she has done outstandingly well. I am really really proud of her. She has lots of dreams and ambitions,” said Biology Professor Regina Knight-Mason. Edmonds-Best has had a journey filled with trial, but it’s a story she’ll perhaps some day tell students of her own. “I want young people to see that no matter what life throws at you, there is nothing that you can’t accomplish. There’s is nothing that you can’t do,” she said. How can I advocate for affordable housing for the homeless? Homelessness doesn’t have to be the end !